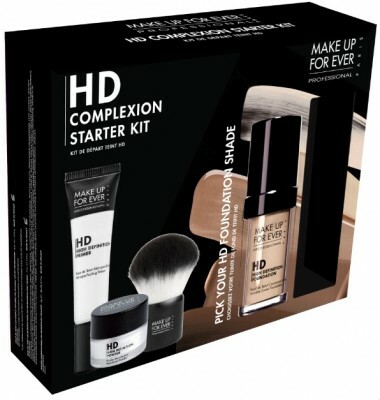 The HD Complexion Starter Kit takes the guesswork out of what products you need to get that “HD skin” that everyone is obsessing about these days. The kit includes HD Microperfecting Primer #0 (Colorless) as the first step, “Prep”. 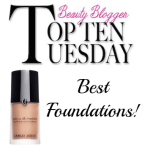 This primer is lightweight, oil-free and leaves skin hydrated and ready to receive the foundation. 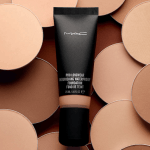 The kit also includes your perfect shade of foundation–in my case, #120 Soft Sand, which is a perfect match for my skin. I would call HD Invisible Cover Foundation (“Cover”) a medium coverage; it really feels good on the skin. If you’re worried about finding the right shade online, MAKE UP FOR EVER has created a new interactive Shade Finder tool that can be found at www.hd.makeupforeverusa.com/shadefinder. HD Microfinish Powder & Kabuki Brush are the “Finish” step. You only need to buff a tiny amount of the HD Microfinish Powder on with the Kabuki brush to give your makeup that flawless, “soft focus” finish. 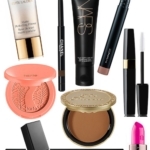 The powder is very lightweight, doesn’t settle into fine lines and is an excellent finishing powder. 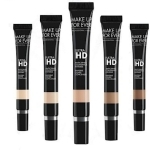 The MAKE UP FOR EVER HD Complexion Starter Kit retails at $79 and is available exclusively at Sephora and Sephora.com . If you haven’t been happy with the way your foundation looks on you, I would definitely recommend this kit as an option to try. Big news! MAKE UP FOR EVER just launched it’s first-ever open casting call to find a “real woman” to star in their next “Untouched” ad campaign. 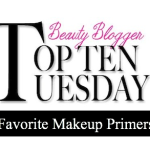 From now til Feb. 1, 2012, go to www.hd.makeupforeverusa.com and submit a photo showing your picture-perfect make up look. All finalists’ photos will be posted on Facebook and the winner will be flown to NYC for a professional photo shoot in late February. The casting call is open to all women age 18 and over residing in the U.S. and Canada. Go for it!